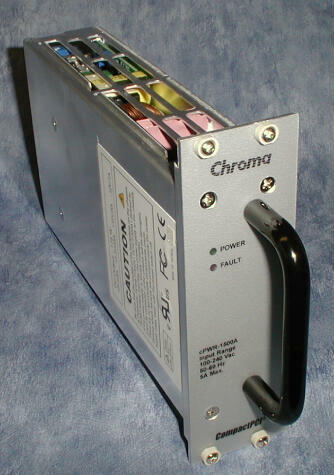 This power supply fitted in Sonar 2031 is specially designed for Compact PCI systems. Small enough to fit within a 3U rack, and running from an AC mains input within the range 90v to 264v AC, it provides the low DC voltages required to power the CPU, Hard Disk Drive, DVD-RAM drive, MO drive and all the cards fitted in the Sonar 2031 DSP Processor rack. The Power Supply has a built in EMI filter, overvoltage and overtemperature protection, and status lamps indicate Power OK and Fault conditions. The Power Supply monitors the status of the voltage supplies, and will shut down if they deviate outside specified tolerances, lighting the Fault indicator to show there is a problem.